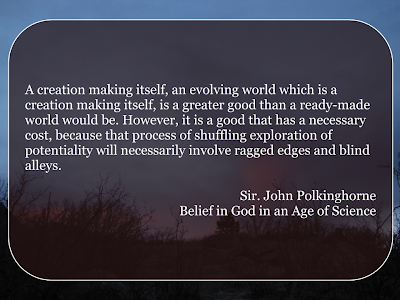 A creation making itself, an evolving world which is a creation making itself, is a greater good than a ready-made world would be. However, it is a good that has a necessary cost, because that process of shuffling exploration of potentiality will necessarily involve ragged edges and blind alleys. 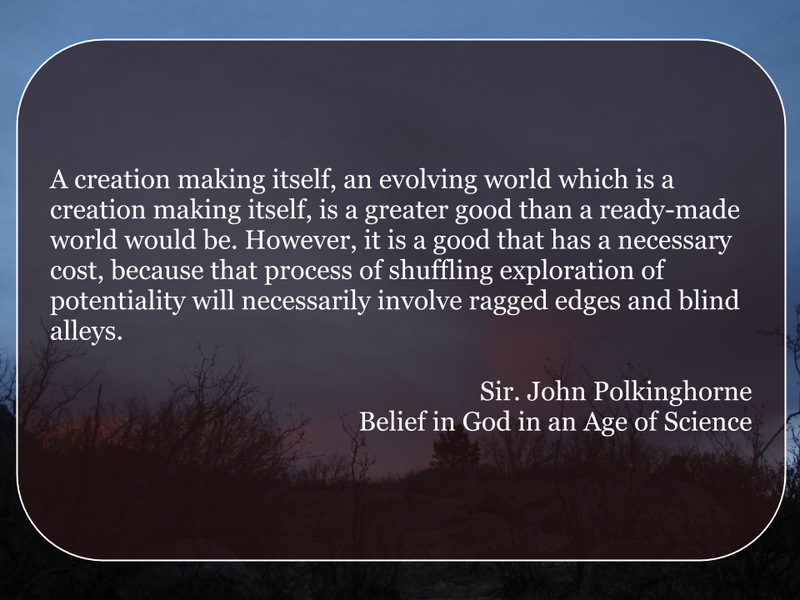 This quote was stated in response to creation and the problem of pain. How do you answer critics who bring up these issues? Let me know in the comments!